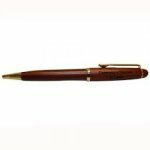 Twist action rosewood ballpoint pen. 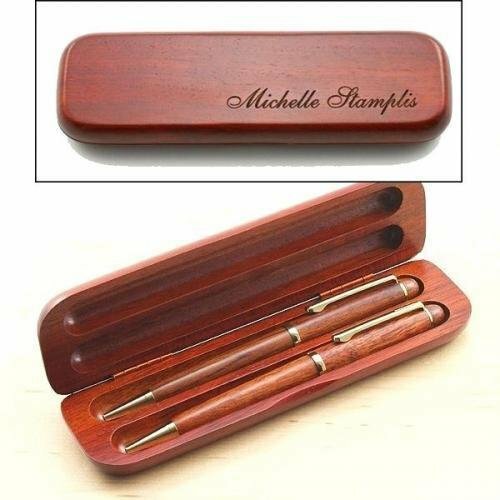 Personalization is extra. Rosewood Twist Ballpoint Pen and Letter Opener in Wooden Hinged Gift Box. 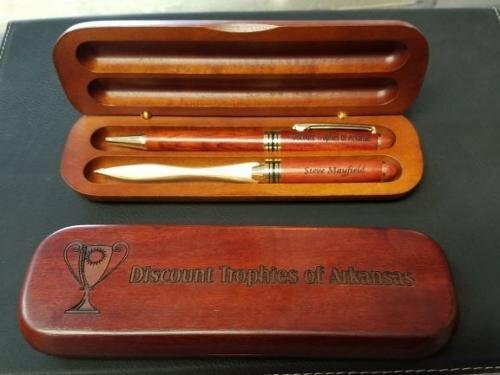 Personalization is extra. 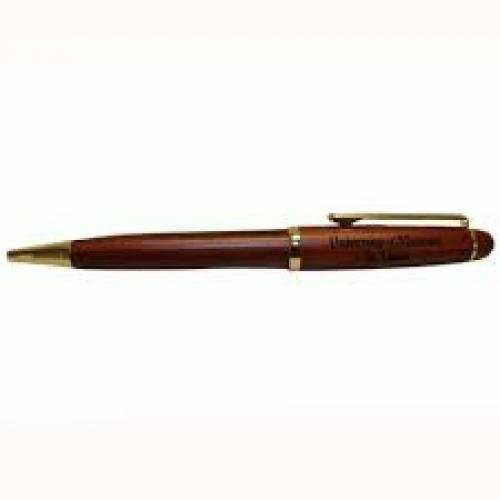 Rosewood Ballpoint Pen with Matching Gift Box. 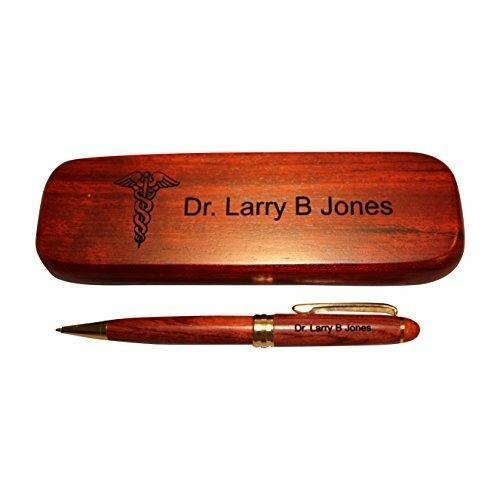 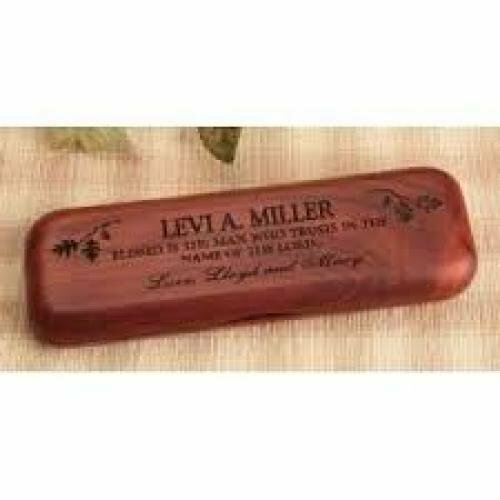 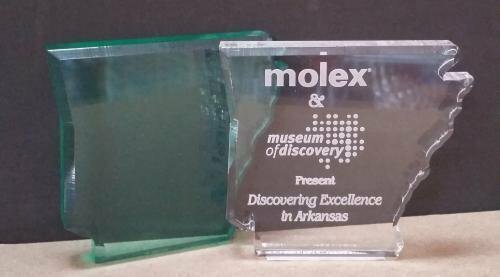 Personalize the Pen and the Top of the Box (6" x 3") for an additional charge. 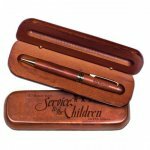 Two Twist action rosewood pens with gift case. Personalization on the pen and case (6"x2") is extra.